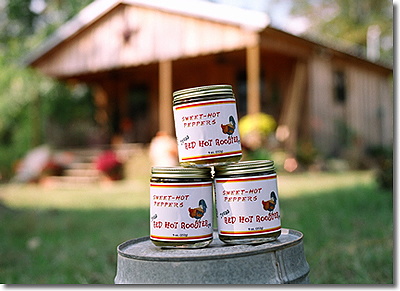 News From Texas Red Hot Rooster Co.
We had a rain filled (soaked) weekend in Fredricksburg, TX this past week at the Crawfish Festival and met some really nice folks. Thanks to Mickey Dupre for traveling with me and helping out with the booth. Bobbie (my daughter) & Natilie are in Aransas Pass, TX this past weekend (June 1,2, & 3rd) for the Shrimporee. Reports are that they were very busy.